Are you or someone you know paying too much for your energy? Do you want to get the best deal? 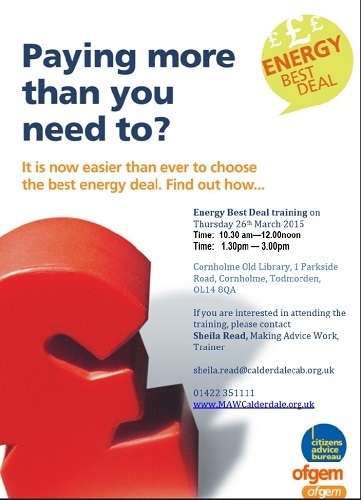 If you are interested in attending the training, please contact The Old Library or Sheila Read, Making Advice Work.